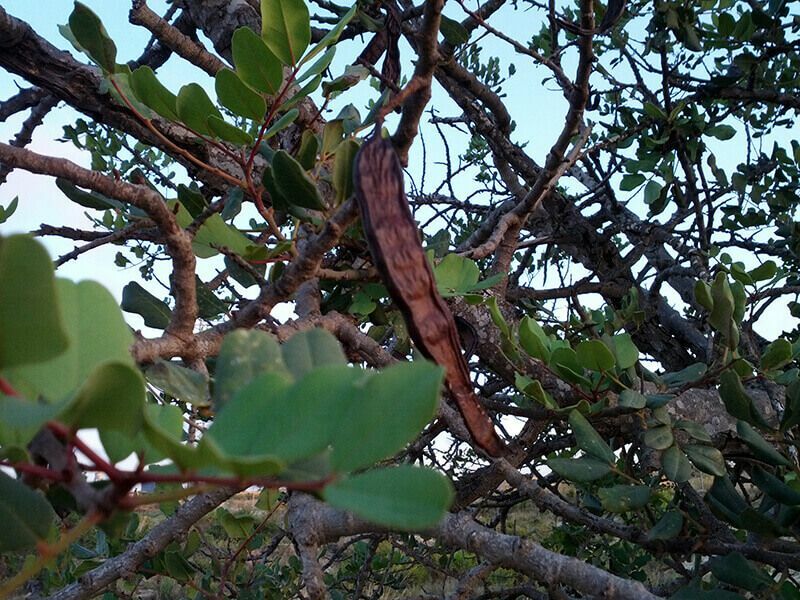 The carob pod is the fruit of the carob tree, an autochthonous tree of the Mediterranean coast, which has an elongated pod shape, with seeds in the interior, carob seeds. It is an energetic food by nature since it contains between 40-50% of natural sugars, which characterizes it of a sweet taste. The main producers countries of carobs are: Spain, Morocco, Portugal, Italy, Algeria and Greece. Carob seeds are rich in mucilages, a type of soluble fiber that facilitates digestion and relieves digestive discomfort. Because of its mucilage content, it helps to relieve inflammation of the digestive mucous membrane, which is beneficial for people suffering from gastritis, dyspepsia (heavy digestion), heartburn, diarrhoea and other similar digestive conditions. In case of diarrhoea, some people recommend taking a tablespoon of carob powder, in a liquid cup, preferably water. prevents the formation of blood clots, aso promotes the proper functioning of the immune system. One of the main actions of carob powder is to prevent the formation of stones or stones in the kidneys. Carob helps the prostate gland function and improves memory health. 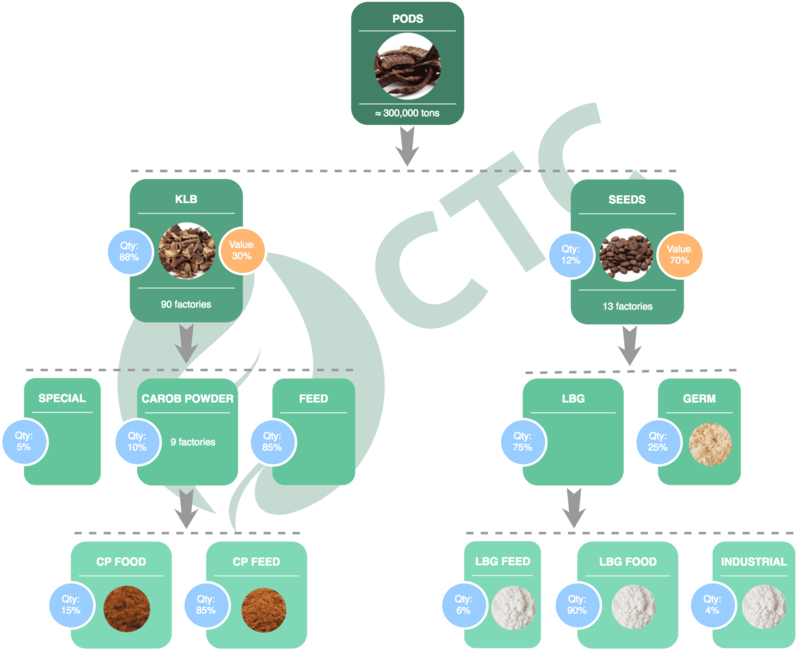 The carob products trading company. CarobTree Corporation, working since 1985 in the world of carobs. © CarobTree Corporation. All rights reserved.